October 15th (the beginning – at 17:00) the presentation of the charity project “Star Tales: Stories that help to believe and live” will be held at the Jewish cultural center “Beit Dan”. The collection of books was published in the framework of the project. 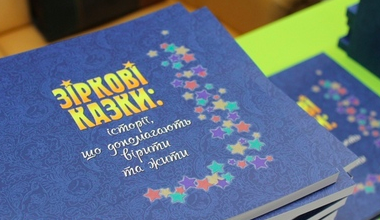 It contained the life-affirming stories and poems for children who are struggling with cancer. Famous people of Kiev and Kharkiv became the authors of the works. Among them: writer Lada Luzina, actress Rimma Zubina, composer Vladimir Bystryakov, Deputy Mayor of Kharkiv Svetlana Gorbunova-Ruban, doctor Yevgeny Komarovsky, singer Maria Burmaka, poet Sergei Zhadan, journalist Andrei Tsaplienko and others. 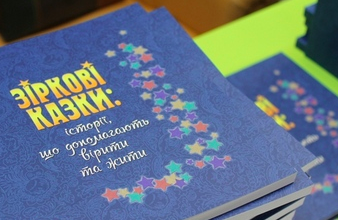 In addition, two stories were written by two 12-year-old girls, who are now being treated in Kharkiv hospital oncology department. Children have drawn all the illustrations to the book. All profit from the sale of the collection will be used for the treatment of children who are in this hospital.